With the Summer coming to an end, I'm just trying to soak in every last trip to the farm, beach, park and all the outdoor activities I can get my hands on. There's so much that I love about the Summer but I do also love the change of seasons, especially here in New England. As I have mentioned to you guys before, my skin changes as the weather changes. I bet if you made some mental notes, you would realize that your skin reacts differently too. I know that it's only a matter of time before the Summer drifts away and the Fall comes sweeping in. There are a few items from my friends at Follain that I know will most definitely help me savor these last weeks of Summer but will also transition seamlessly into the chilly Autumn. RMS Beauty Tinted "Un" Powder- this is such a great powder that I use to both finish my makeup and also keep a little of that sweaty shine at bay. It's tinted but not overly so; it will provide good coverage even as your skin is seeing less sun and for me, growing paler in preparation for a long Winter. Axiology Lipstick in Attitude -this color is perfect for Summer but also totally appropriate for Fall. Vered Organic Herb-Infused Toner- this stuff is so pure and gorgeous, it's apparently good enough to drink though I won't be trying that anytime soon. I've not been loyal to a toner but may have found my new favorite to return back to. I broke out on my vacation to the Cape, like for the first time since before I was pregnant with Teddy and this really helped to minimize the redness and bring down some of the irritation. I put it to the test and it passed. Schmidt's Bergamot and Lime Deodorant Stick- This is my favorite stick deodorant. Period. End of story. There are a lot of great deodorants on the natural beauty market, some more effective for me than others but this is #1 in stick form which is convenient #2 has a great smell and comes in a variety of different scents and #3 it works even on my sweatiest of sweaty days. Organic Bath Stress Less Scrub- I have got to say that everything that Organic Bath puts out there, I usually fall in love with but the Stress Less/Peace Full Lavender line is the best imo. To combat the dry skin that is enevitably coming my way, this scrub is on hand and ready for those pre-bedtime showers and of course, I follow it up with the body butter because Yaaas queen! 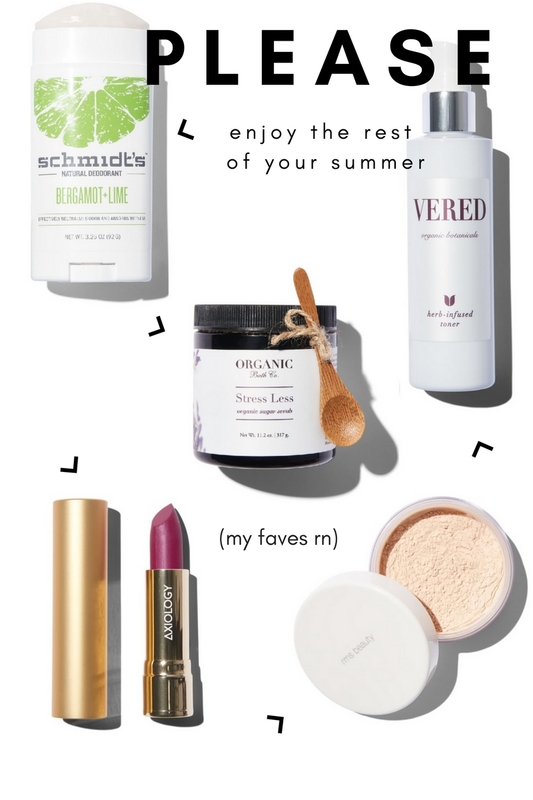 What are your favorite beauty items that help you savor the Summer but help you ease into Fall? *This post was written in collaboration with my friends at Follain. *This post was created in partnership with Nothing But the Fruit. All opinions are mine and I super appreciate you supporting businesses that help keep Prim and Propah moving. I had seen Nothing but the Fruit at Starbucks but had never grabbed them for me and the kiddo to snack on but now that we've been formally introduced, I don't think that we can ever go back! The gals from their team had sent us some samples earlier this Summer and to say that we became instant fans would not be an exagerration. I thought I would take some of our favorite fruit snacks and put a little bit of a late Summer twist on something for this coming Labor Day weekend! I did a little tinkering until I found the best combination of ingredients to create tasty ice cubes to toss into water, lemonade or even a ice cold glass of vodka... it gives new meaning to "on the rocks". With just a couple simple ingredients, a cute ice cube tray and a freezer, this is a great addition to any tasty Summer drinks that may be whipping up to celebrate the last days of Summer. It's so simple, really. Dice up your strawberries and put them into your ice cube tray. They will sit and wait for the liquid component. In a small saucepan over medium heat, bring your simple syrup, water, lemon juice and fruit bites to a simmer, constantly stirring so that your mixture doesn't burn. You should start to see your fruit bites dissolving as you stir. There's really no way to screw this up so feel free to take a taste here or there (after cooling a bit) and feel free to add a little more simple syrup or lemon juice depending on which direction you want to go, sweet or tart. Your mixture can be completely dissolved (much like the consistency of a thick syrup) or you can leave bits and pieces of the fruit bites. At the end of the day, you cannot escape the deliciousness that awaits you. Once you've reached the perfect ratio, very gently pour your mixture over the strawberries in your ice cube tray making sure not to overflow. I used a silicon version which worked great for this special project. Pop in the freezer and give it a couple of hours to firm up. I added our ice cubes to a pitcher of lemonaide that I whipped up but we also saved a couple (from my second batch) for some mixed drinks we planned to make after the kids went to bed. If you give them a couple minutes to start melting into the drink... well, that's when the flavors start spreading- Mmmmm, mmmmmm! I've quickly realized that these little 100% fruit snacks, made with all natural ingredients, are more versatile that I initially gave them credit for. I used the strawberry bites this time but I'm thinking that I may need to figure out an inventive way to use the Concord Grape flavor next. Have you used something out of the ordinary to create a new treat? I'd love to hear in the comments! If you want to know more about Nothing But the Fruit, be sure to check them out online, Facebook, and Instagram! “I received this product for free from Moms Meet (momsmeet.com) to use and post my honest opinions. Compensation for this post was provided. Have you noticed that the Propah Family is very fair skinned? Well, we are. And sensitive skinned, did I mention that? When it comes to being outside, I have to make sure that my kids (and myself obvi) are covered in sunscreen and hats and everything in between because it's so super important to protect our skin. That said, I kind of have an aversion to the smells and feel of common sunscreens/blocks. Of course, I use them, but when other options come along, I'm here for it. COOLA was awesome enough to send us a great package of some of their best sun products and to say that I am pleased, would be an understatement. The natural line of products that also touts some amazing organic ingredients has me really excited about protecting our skin with something that I actually love. No more "tolerating", I'm loving. The folks at COOLA aren't just creating your average sunscreen, they're curating a useful but crushworthy line of products for the whole family. Discerning mothers (and fathers) know what is quality when they see it. When I tried the Eco-Lux (SPF50) Guava Mango Sunscreen Spray, I was a touch skeptical at first because, man does it smell good and my brain had trained me to only trust sunscreens that made me go "meh". I was so very pleasantly surprised though. Over 70% of the ingredients are organic and all of them are super safe. This is now our go to sport spray when we hit the Cape last week, prepping for the Red Sox game and when I'm packing a bag for the park or walking trail because I can use it on all of us. Even when I've run out of the baby specific goods, this works in a pinch for Teddy too. I also got to try the Mineral Sport SPF 50 Tinted Sunscreen Stick, Face SPF 30 Makeup Setting Spray and the Liplux SPF 15 in Peppermint Vanilla... and all of the products do not disappoint. I may have received these items for free to try but I am already scoping out some of their makeup because I love what I've seen so far. Their makeup setting spray itself is a great way to make sure that you're protecting your face from UV rays. Even if none of your makeup itself has an SPF, this is the best stuff to create a matte finish. My only qualm is that as a Mom of two young children, I wish there was an option to get this spray in a bottle that isn't glass... I've had a few scares in the past week and would be heartbroken if my spray broke. But really? It's fancy and I love that too. I'm a new fan of COOLA and am super excited that I was introduced to them. They may not be the least expensive option to protect your skin from harmful UV rays but they are most certainly one of my favorites. Quality is key for me and I like to support brands that are looking to keep harmful ingredients out of their formulas while providing products that you can truly fall in love with. Do you want to try COOLA yourself? You can use COOLA code: Light20 to receive 20% off your order until September 30th! *Edaville hosted the Propah family and friends but this is a 100% accurate dipiction of our super fun day there! While we were down on the Cape last week we had the opportunity to head off the Cape (I know, I know) to take in a day at Edaville. Every morning when Wesley is watching Curious George, he sees the commercial for Edaville and promptly says " I want to go there!" in the cutest little three year old voice... so being the best Mom ever, I made it happen! Edaville, for those who don't know, is a family theme park in Carver, MA with lots of attractions including Thomas and Friends "land" and also a train that goes around the property, a Dino attraction "Dino Land", carousel and other traditional rides, and lots of cute details along the way. Wesley has only just recently been getting into Thomas and Friends but let me tell you, he knows his characters. When we hit property, the kid was stoked as soon as he saw the train, complete with Thomas the Tank Engine leading the way. If you're not familiar, basically, he is the lead engine, our hero and all around nice guy. To be honest though. my kid is more a fan of Emily... he likes what he likes! We took the leisurely train ride around the property and Wes took out his "noculars" to take in some of the sweet views on a beautiful day. It was a breezy twenty minute ride (rest) from an otherwise busy day of exploring on foot! The kids were getting tired but still just had to explore the misty prehistoric forest that allows visitors to take a dino loop and visit all the kids favorite dinosaurs. Our little guys enjoyed running from creature to creature so as you can imagine, I got my excersise running after them. Pro tip: put red shorts on your children to allow for optimal fog visibility! We covered what seemed like every corner of the park with a couple differnt breaks in between attractions. They offer picnic tables in a few different areas of the park so you can bring your own lunches or they also have some cafe's where you can purchase yummy eats. There's plenty of shade and even on a hot day like the one of our visit, they offered spritzing fans around the park, which is one of my favorite things they could do for this sweaty mom. We finished our day on the carousel which just seemed like the perfect way to ease the kids out since they were spent from all the adventure-ing we did. We really enjoyed ourselves and all agreed that the kids had a real blast. Seeing things from their little eyes and trying to really experience the little stuff with them is one of my favorite ways to win at Mom-ing. I would recommend a trip to Edaville especially if you've got a train lover on your hands- you'll be the best parent evah! PS. Mass/RI/NH residents get $10 off their tickets. You can find Edaville Family Theme Park on Facebook, Twitter and Instagram! So will you join me? Calling all Yogi's to join us for FenwaYoga at Fenway Park on September 14. The class is for ages 16 and up and will be led by experts from CorePower Yoga. Your ticket package includes a ticket for the 1:35pm Red Sox vs. A's game and admission to the post-game Yoga Class held on the field warning track. A portion of every ticket package will benefit the Red Sox Foundation, so it's feel good in a couple of different ways! Baseball and Yoga, here we come! Last week I had the opportunity to visit one of my favorite local shopping centers, Marketstreet Lynnfield. It's one of those places where you can literally spend from breakfast through dinner and beyond shopping, eating, sipping and being entertained... this time of year though, parents have one glorious thing on their minds and that's "Back to School". I stopped in to a few of Marketstreet's stores to grab some things for the Propah Preschoolah as well as snap some shots of things that I thought my community would be interested in seeing for their kids. There is truly something for everyone whether your kids like bright colors, fun prints, preppy classics and so much more. Each kid, not matter their personality and sense of style, will find something quality and fun for their back to school wardrobe. 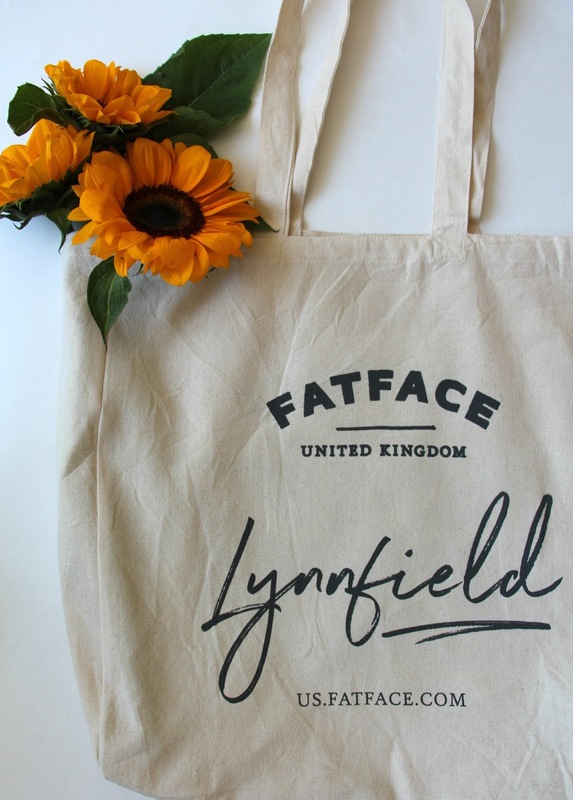 Fatface is one of my new favorites and you know this. Pleased as punch I am that my little guy is just big enough to fit into their kids clothes, though it's a bit bittersweet that he's growing so fast. But alas, he is off to preschool this year. I love stopping in to the Lynnfield location, saying Hi to my new pals and grabbing some cool new duds for my little guy to wear as the weather gets cooler. It doesn't hurt that I can find great stuff for me and my husband as well. What you'll find: khakis, hooded sweatshirts, jeans, great patterns, ethical fashion. Athleta Girl inside Athleta... boy am I jealous of the ladies who can buy matching active wear with their daughters. If you've got a tween that loves to stay fit with you, be sure to stop at the Athleta location and check out their Athleta Girl duds. Also, if you're interested in events surrounding health and wellness, keep an eye on the Lynnfield calendar for great yoga, meditation and fitness classes with local professionals. What you'll find: great sports bras, yoga pants, running shorts + more. Vineyard Vines is the best place to hit if you and your family love the preppy, nautical vibe with classic versatile pieces. They've got some great backbacks, lunch bags and planners for your stylish little human who loves Vineyard Vines. Shop the back to school event August 26th and 27th for free gift with purchase as well as the opportunity to have your goods monogrammed. What you'll find: ocean vibes that see your Summer into the school year. Justice is the place that I wish was around when I was a tween. Colors and glitter and jewelry oh my! Wes and I took the opportunity to pick some things out for his bow loving cousin as well as a pair of kitty headphones that he just had to have. The girls in store told me that they've got some great denim deals coming in the next few weeks as well as great sales on tees and leggings. Picking up basics for your little ladies has never been easier. What you'll find: all the versatile basics plus sassy things to help your girl be an individual. Hanna Andersson is one of our favorites because not only can I pick up things like tees, pants, underwear and socks that will last the whole school year, the little guy can have his fill of Star Wars. As a mother who knows far too much about Star Wars, it's refreshing to see new prints and items that we don't already own- something new to throw into the rotation! They're currently stocking all the basics, lunch bags, backpacks and even some great dress up clothes for the evening and weekend fun! What you'll find: Colors and quality and oh so cute clothes for your little ones. Amazon Books is a great place to stop whether you're just looking for your next read or books for the kids school reading lists. They're finishing up their Summer reading program now but are gearing up the school year with a lot of great school supplies, alarm clocks and all the Amazon tech you need. What you'll find: Books for all age levels, bathrooms with changing tables and the ability to use your Amazon Prime account in store. Whole Foods for all of your lunch needs, because we want to send those kids to school with thoroughly thoughtful foods in their lunch boxes. Check out Whole Foods' tips, tricks, recipes and everything you need for back to school healthy eating for the whole family, on their site. What you'll find: heatlhy and wholesome snacks and meals for the entire family. Other places to try while you're there? Gap Kids, Claire's, American Rhino and The Paper Store. You're going to find what you need and you're kids are going to look smashing, I promise. What are your favorite stores to do you back to school shopping at? The folks at Bella Aura sent me a full regimine to follow with their five product line. They called it the 'go with the flow' microcirculation facial, which helps to contour, lift and create a very in shape face. Apparently, the microcirulation facial circulates more blood and oxygen to your skin, repairing damage and building necessary cells. So yeah, I was pretty stoked to supercharge my beauty routine. What I received: The Antioxidant Booster which helps your skin detox from all the grossness you encounter in a day, Daily Repair Moisturizer which delivers hydration to the skin while supporting the skin's natural collagen, Instant Under Eye Lifting Cream which helps the sensitive skin around the eye firm up, reducing the signs of aging, puffiness, dark circles etc and so on, the Night Cellular Renewal which not only hydrates but fights the signs of aging by improving firmness, elasticity and retaining moisture and the Gentle Purifying Cleanser, which is what it sounds like but is also the foundation for the go with the flow facial. So I've mentioned before that I'm not getting any younger. When I'm looking at new beauty products, I want both results and great ingredients... and by results, I mean, please make me look younger or at least stop the signs of aging. I want to promote healthy skin, keep my skin tone even, firm it up and if a have a healthy glow, well, then all the better. The Bella Aura products themselves are above the standard as far as the ingredients are concerned. Using neroli, argan, fig de barbary and nigella oils, the Bella Aura Kamilah blend is tested and sourced from nature while also taking into consideration how the products can be used with one another to create emulsions (combination of serums and creams). So I can check this off the requirements. The results part, well, at first I was a little taken aback at how much I had to remember when applying my skin care routine. My brain is fried come the end of the day because two kids... but once I got into the routine, it was really easy to dip and dap as I needed to. The products all have a very light but lovely scent and apply very smoothly. There was not a single one that I applied and left me feeling greasy- so they definitely absorb quickly. After using the products for a couple of weeks now, I couldn't tell you which wrinkles it attacked or where I specifically felt my skin had improved but I look at my face and see a healthy one. My skin is glowing people and feels soft and oh so healthy. And smooth, did I mention smooth? I should really do the regimine then post a selfie because I look that good, even with no makeup. It's a 5 product line that works and will last me because each step is regimented and precise. Want to see what the regimine was all about? Check it out below. By using this technique you maximize the absorption of the vitamins K1 & K2 (which promote blood vessel elasticity), vitamin P (which reduces capillary fragility and increases microcirculation), Omegas 3,6,9 (improves blood circulation), vitamin B3 aka Niacinamide (which increases fatty acid ceramide levels in the skin to help the skin retain hydration) contained in our products. I love to do yoga, you know this very well by now. There's nothing more relaxing to me than leaving my home, by myself and heading to the yoga studio where I will have time to myself without a little person on me (which is the majority of my day). Unfortunately, I don't get to do that as often as I would like to and in order to get a yoga practice in, I have to make space and time for it at home, which is easier said than done with two kids. So I thought to myself, self, I gotta get the toddler/almost preschooler into stretching with me. So we started our search for things that would make at home yoga with a kid fun and relaxing. We started with his own yoga mat, which he obviously chose himself... and he took right to it! There's something so sweet about seeing my child roll out his yoga mat excitedly... but then there's no structure lol. He just waves his legs around like a wild little person. It's cute for a minute but how am I ever supposed to practice with a wiggle worm? Enter these awesome Body Poetry Yoga Flash Cards that I found on Wayfair- they show the little guy how he can bend and pose just like other fun things. Now, these cards obviously don't cover the moves that I'm hoping to achieve but I need to start the toddlah off slow, and we'll eventually get to a point where I can put on a yoga video and he might try to keep up with me or at least let me practice without climbing on me while I'm in down dog. Even the baby is all like, how can I get in on this bendy action? I want to be patient and kind and I also want my kids to be patient and kind. I think that if I take the time to create spaces and ways for us to relax and even practice yoga, that we'll have a way to bond and keep bendy together! I worked with Wayfair to pick some of my favorite things from the site to make your space perfect for relaxation whether you have kids or not. These are live on the site as "Blogger Picks" so be sure to check them out. 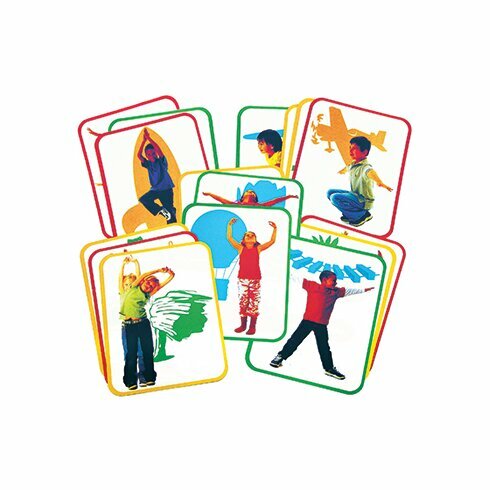 We love taking these cards out and doing gentle stretches. Being a parent can be stressful so finding something relaxing to do with your kids is great for everyone. They're super big (and sturdy) which makes it great fun for your little yogis! Having a dedicated yoga blanket for your home practice makes a big difference! 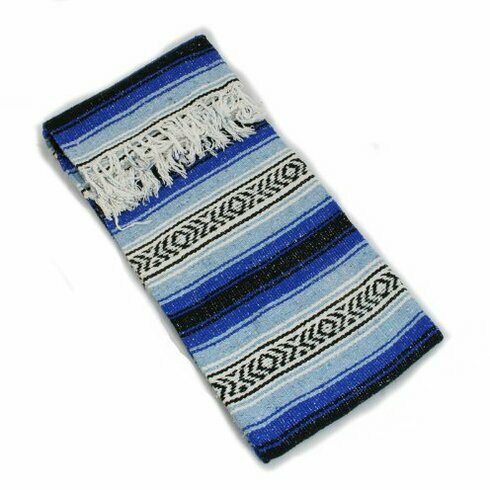 You've got your space to relax, recharge and renew with this blanket that can be folded for a bolster or draped over for your well deserved savasana. 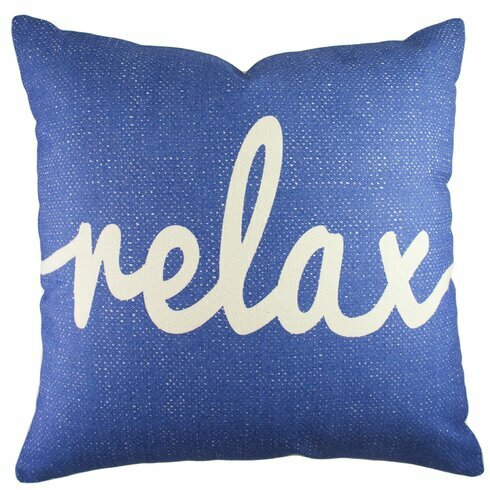 Sometimes you need a little reminder to slow down and just relax. This pillow is cotton (my fave) and comes in three colors so you'll be sure to find a combo for your yoga and meditation space! Sleep is an important part of taking care of yourself- the sheets you use can make a big difference in the comfort and quality of your sleep. 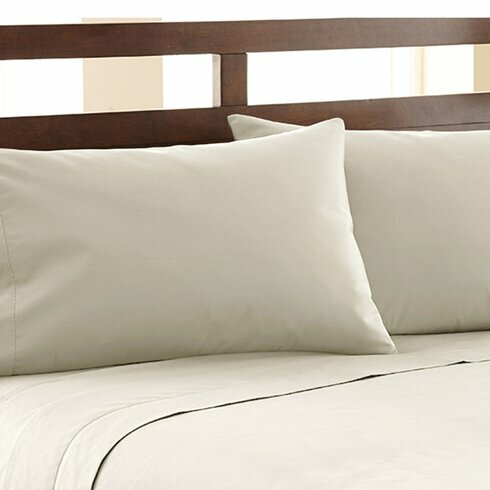 These sheets are high thread count yet sill affordable plus cotton is my favorite! 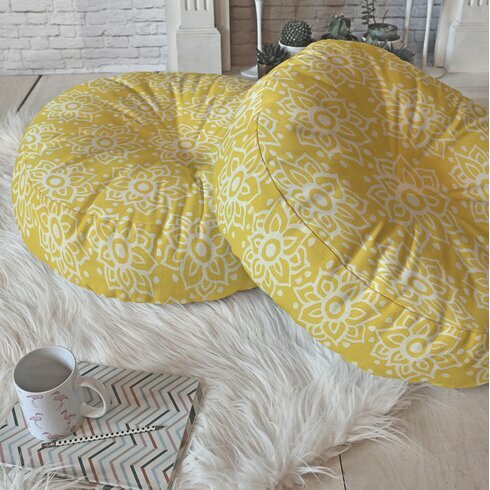 Adding accent pillows like these to a kids play area can add a fun twist and extra padding plus can double as bolsters and meditation pillows. This print is so light and fun! What a perfect gift for the yogi in your life. 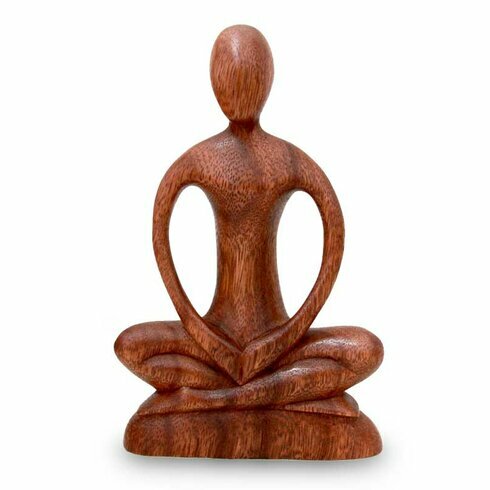 This little piece would make any zen lover happy plus it's very versatile and would fit with different decor. 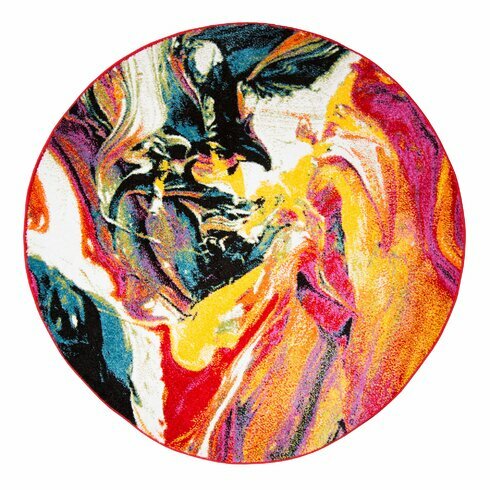 Adding a very funky area rug to a kids playroom can help keep your aesthetic in place while also making the space fun. This rug is perfect for kids because it will hide those spills and stains, which will inevitably happen! Zen comes in a lot of forms! We love to color in our house so the kids have their coloring pages and Mom has hers. 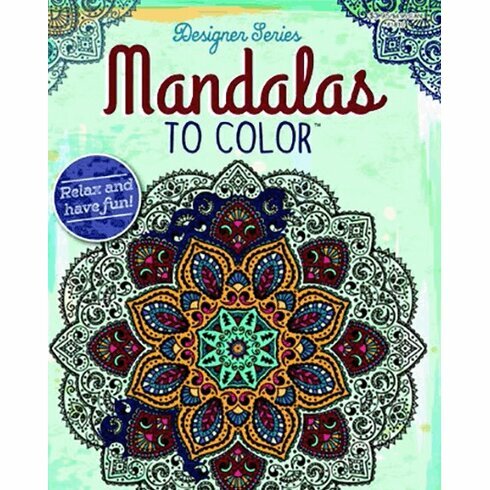 This coloring book can help you disconnect from tech and quiet your mind by focusing on a relaxing task! 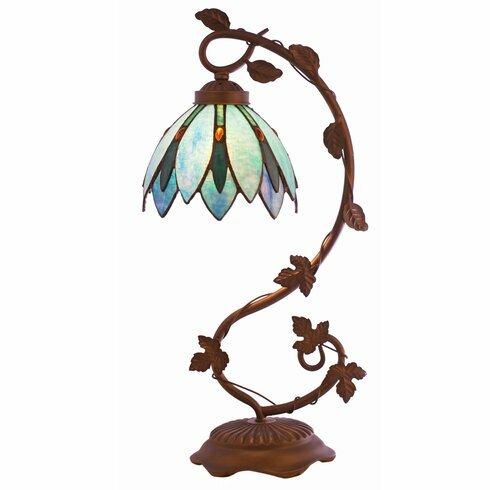 Tiffany Lotus Flower Arched Table LampHow gorgeous is this lamp? It's magical and fun! This would be the perfect lighting element for a quiet meditation corner, a yoga studio or your own personal quiet space. Illuminating while illuminating!